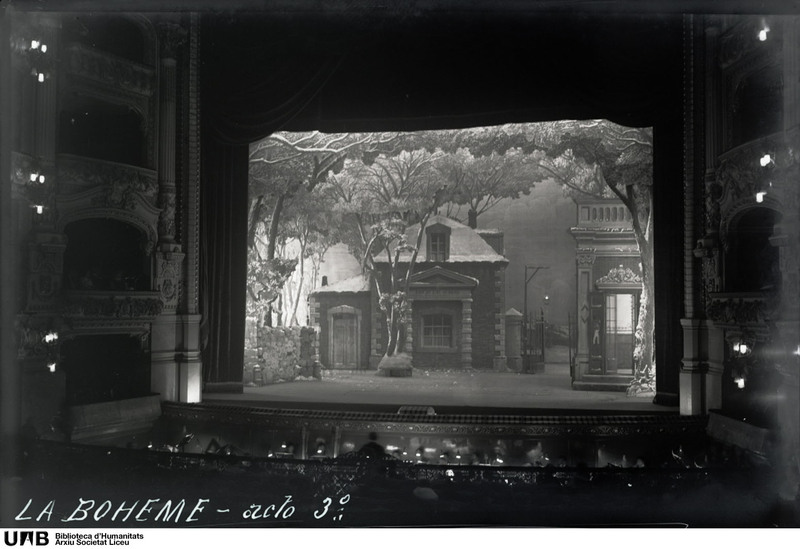 In this section we find both drawings and photographs. 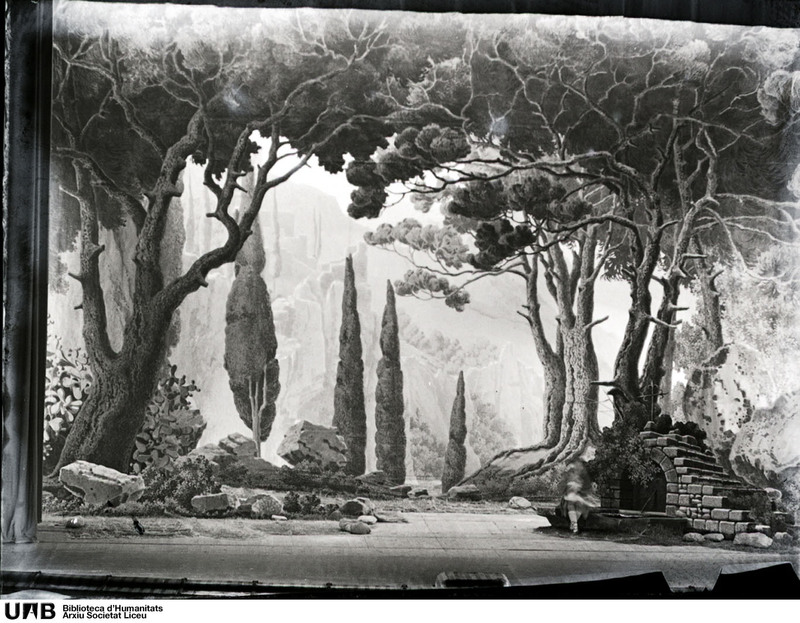 The drawings on paper are either ink or watercolors, and some of them incorporate the layout of the stage. 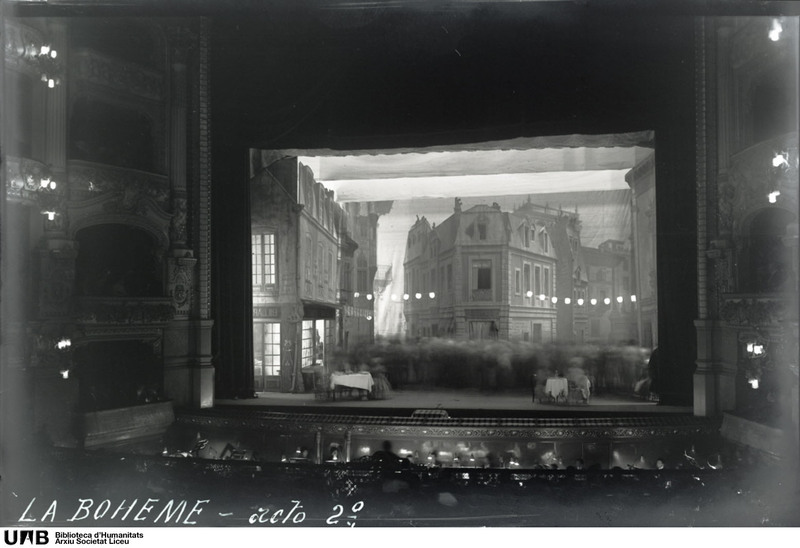 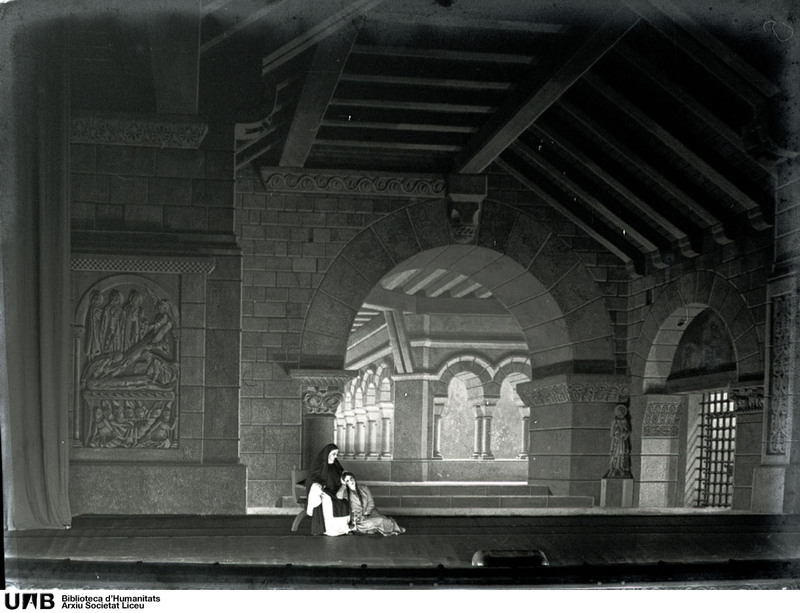 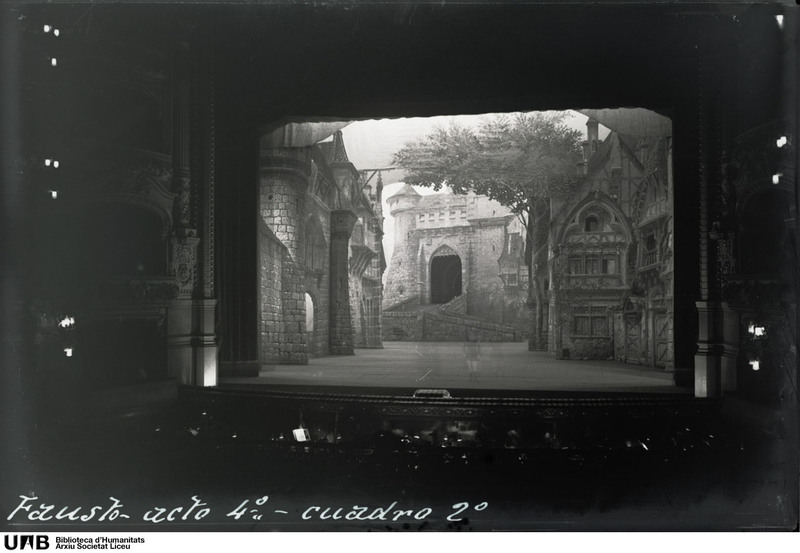 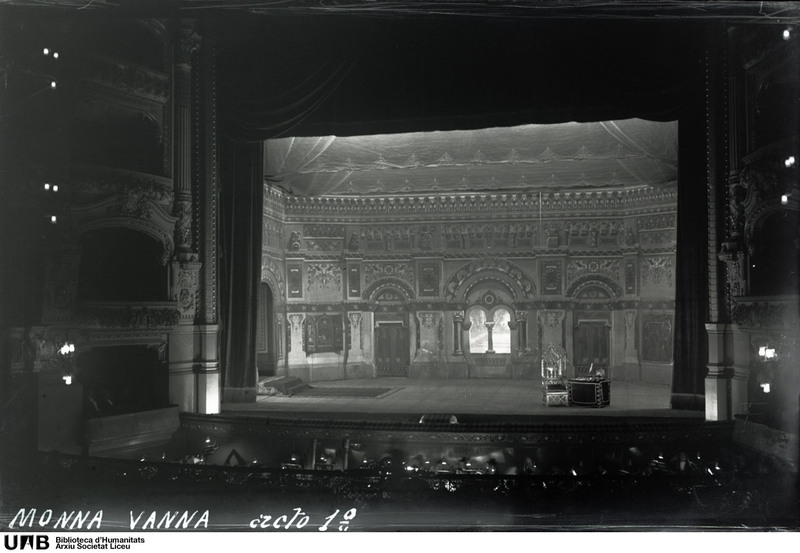 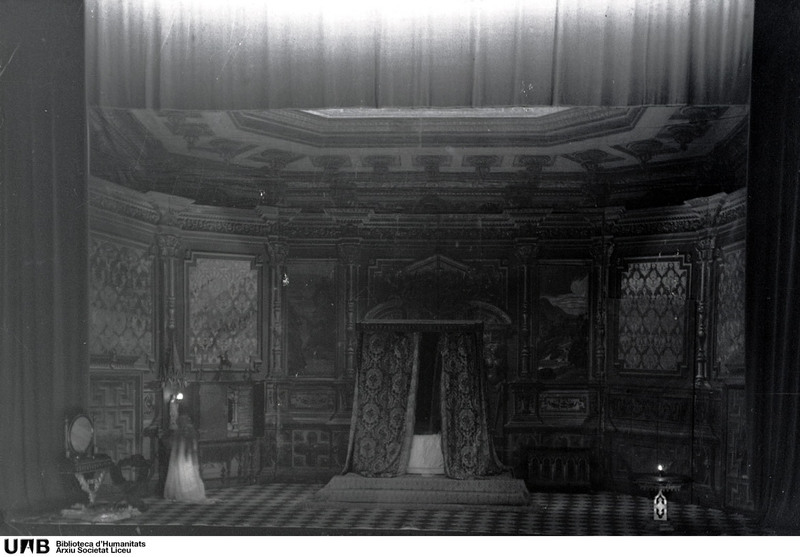 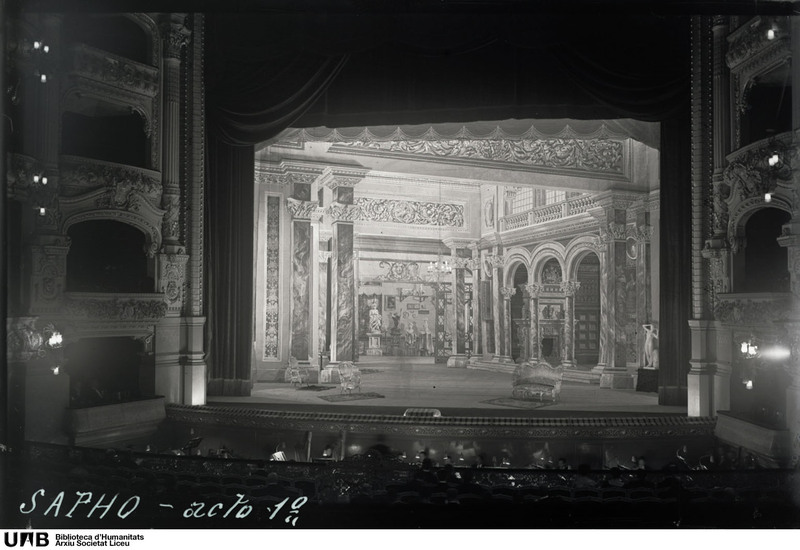 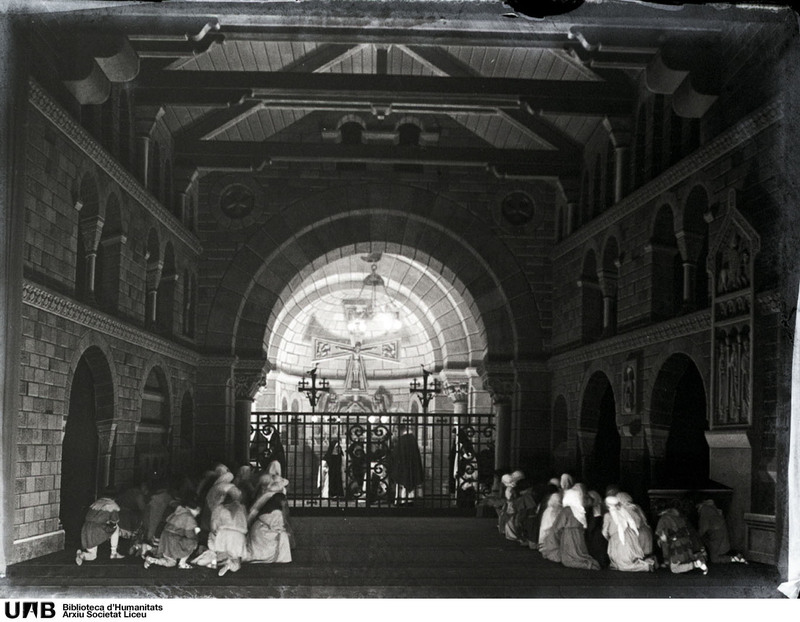 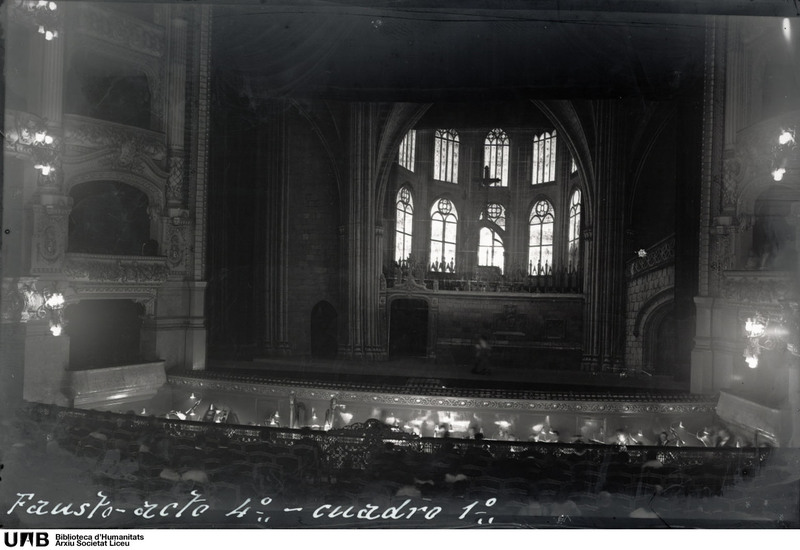 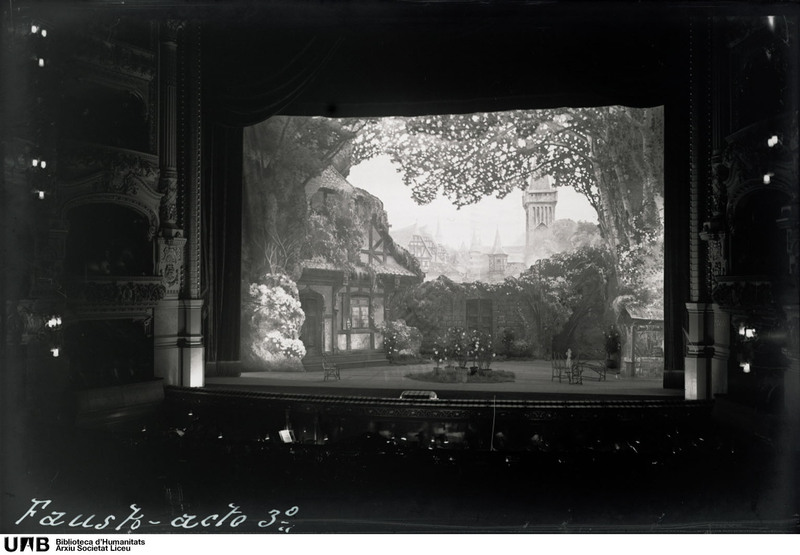 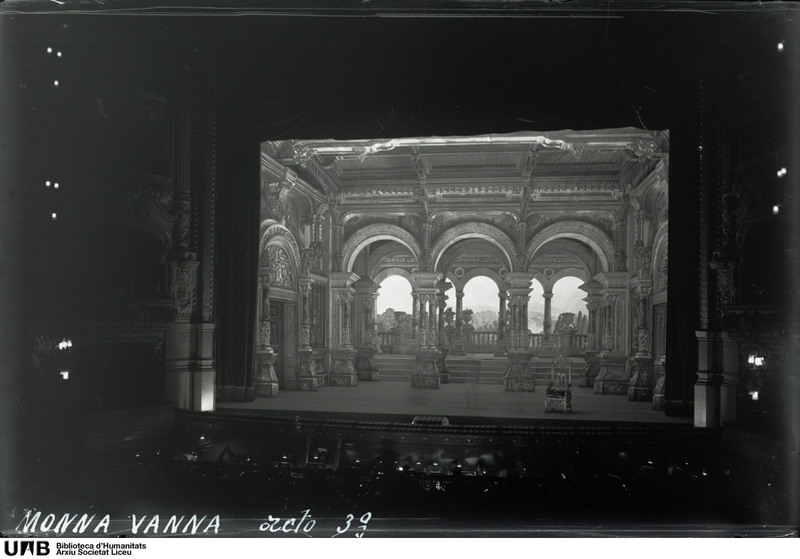 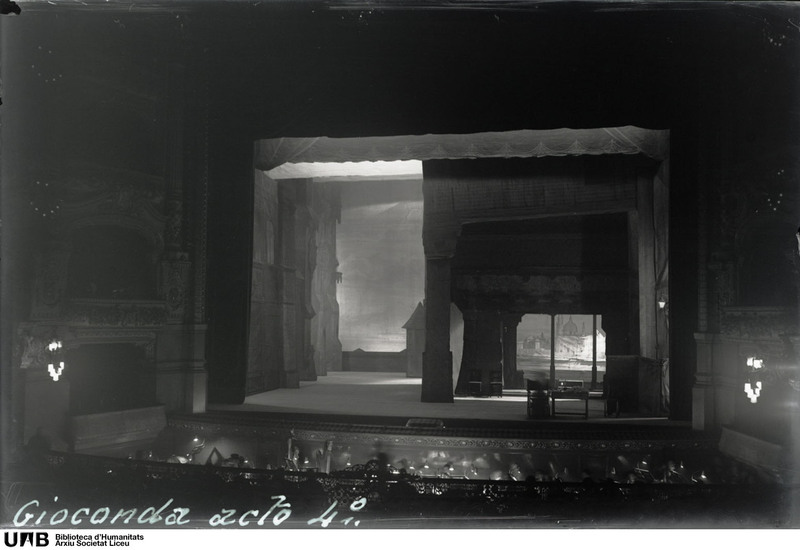 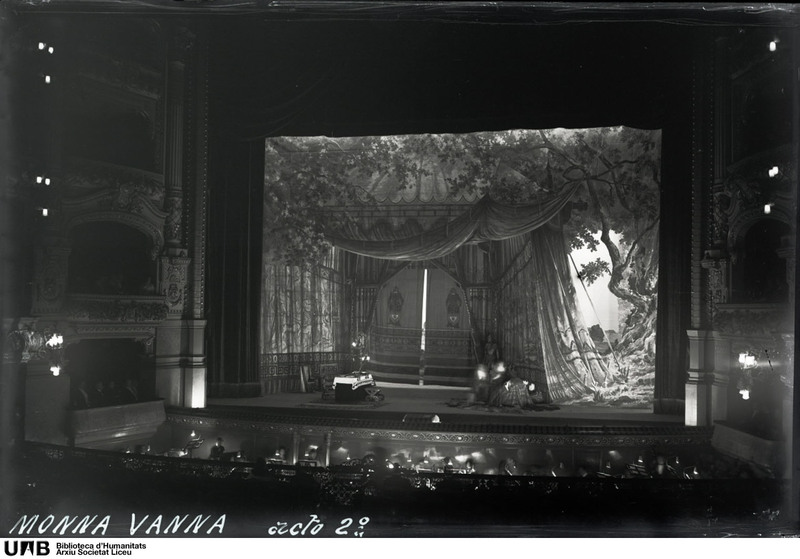 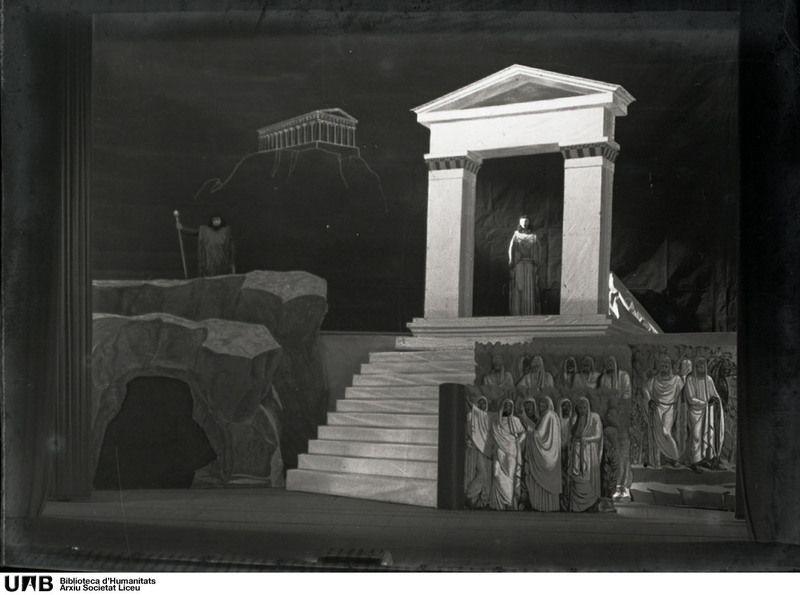 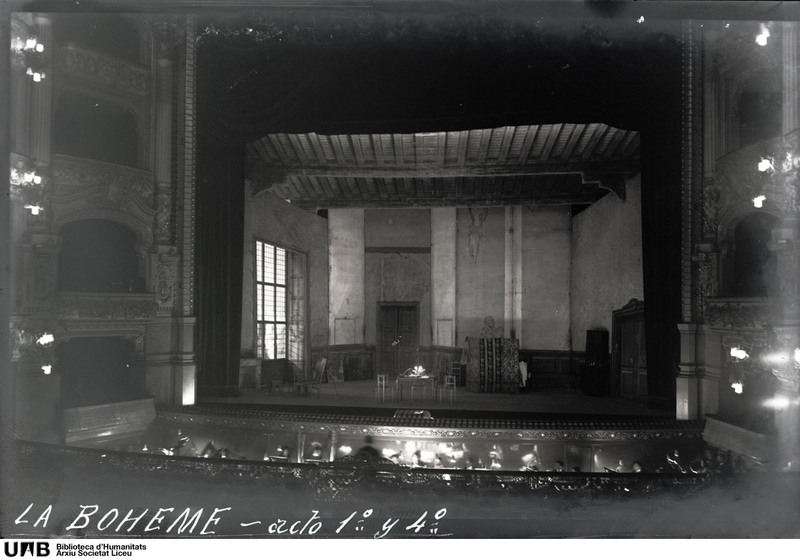 It’s worth pointing out that the scenography is linked to the scenic development of the same, some of them on glass plates negatives or paper photographs that represent the staging.